DeMarcus Cousins is out for the remainder of Game 2 and will receive an MRI on Tuesday to determine the extent of the damage on his quad. ​Oh no. Just a year removed from a knee injury which cost him the better part of a year to recover from, ​DeMarcus Cousins went down again for the ​Warriors in Game 2 of their first-round playoff series against the Los Angeles Clippers. The injury was non-contact, leaving many wondering just how serious this could be. 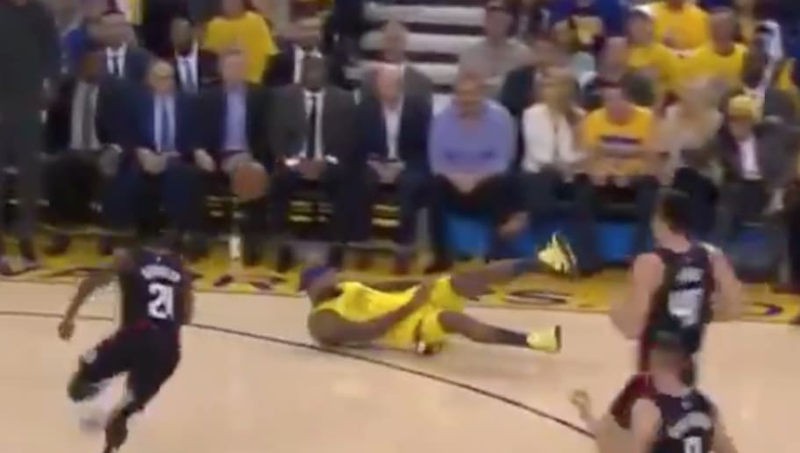 Boogie left the game holding his upper leg region. As of now, we're all guessing. Cousins' injury history lends itself to the thinking this could be a serious matter but at this point it's all speculation. Cousins went to the locker room immediately following the injury in just his second playoff game. We're all hoping for the best. We'll provide more information when we have it.